A Kittitas County deputy was killed Tuesday night after a short pursuit that ended in a shootout. KITTITAS COUNTY, Wash. — Road rage and erratic driving led to a pursuit that ended with the shooting death of Kittitas County Deputy Ryan Thompson Tuesday night. Kittitas Police Officer Benito Chavez was wounded and is recovering at Harborview Medical Center in Seattle. 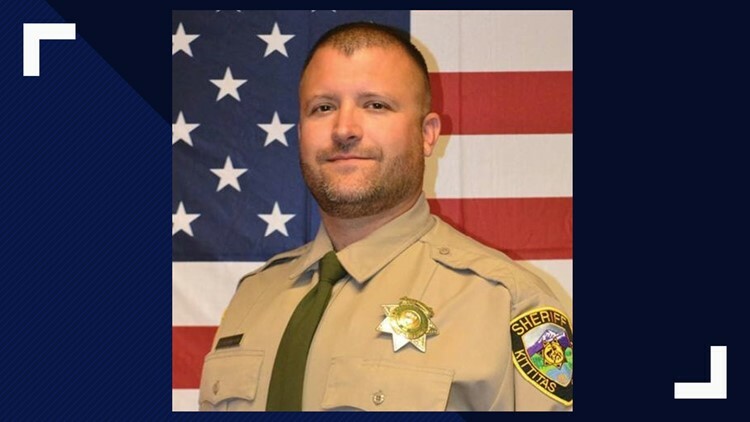 Kittitas County Sheriff's Deputy Ryan Thompson was killed in the line of duty March 19, 2019. Around 7:30 p.m. Tuesday, Deputy Thompson and Office Chavez tried to stop a vehicle in the Badger Pocket area of Kittitas County. After a short chase, the suspect's vehicle came to a stop at the end of Pierce Street. The driver got out and fired at the deputy and officer, who returned fire. The moments before the shooting were caught on surveillance video, showing the suspect exiting his vehicle before it rolled away. 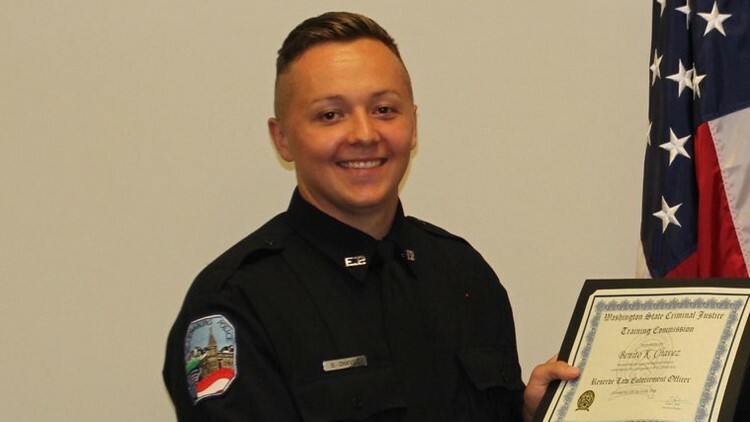 Deputy Thompson suffered a fatal gunshot wound and was pronounced dead at Kittitas Valley Hospital. The bullet that hit Officer Chavez shattered his femur. Officer Chavez is in satisfactory condition and after surgery, according to officials at Harborview. The suspect, identified as Juan Manuel Flores Del Toro, was shot and was taken to Kittitas Valley Hospital where he later died. According to U.S. Immigration and Customs Enforcement, Flores Del Toro was "unlawfully present in the United States." He entered the US legally on a Temporary Agricultural Worker visa, but did not renew the visa before it expired. Law enforcement has not said why the suspect failed to stop for police and started firing at authorities. Investigators are currently seeking out and interviewing people who knew the suspect. At this point, Chief Wade said there is no "firm" information on what prompted the shooting. It is currently believed that neither Deputy Thompson nor Officer Chavez were aware the suspect had a gun. The full investigation could take weeks or months to complete.